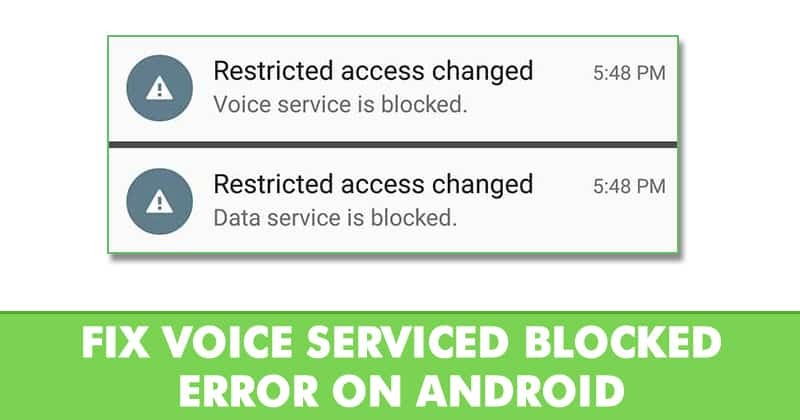 Recently, few Android users have reported that they are getting unusual ‘restricted access changed voice service is blocked’ error messages on the notification panel. So, in this article, we have decided to share some fixes which could help you to fix the ‘restricted access changed voice service is blocked’ error messages from Android smartphone. Recently, few Android users have reported that they are getting unusual ‘restricted access changed voice service is blocked’ error messages on the notification panel. Users have also reported that the phone was working fine, but all of a sudden the phone stopped making calls. Users can use the WiFi network and send text messages, but it was the calls which the phone was unable to make. This is an unusual error message, and it appears mostly on Moto X, Moto G, Nexus and few other smartphones. The error message usually appears in the notification panel, and it disappears automatically after a few seconds. So, in this article, we have decided to share some fixes which could help you to fix the ‘restricted access changed voice service is blocked’ error messages from Android smartphone. However, before we proceed let’s know something about the error message and why it occurs. Restricted access changed voice service is blocked error message is a network-related notification which has nothing to do with the smartphone. So, if you are getting the error message, then it doesn’t mean that your phone is malfunctioning. The reason why the error appears is still not disclosed, but we are going to share some of the effective methods that would help you to fix the error message. 1.3 #3 Reset Wi-Fi, Mobile & Bluetooth Settings. It’s worth to note that there’s no official statement made related to the error message, so the methods given below are based out of recommendation and trials. So, let’s know how to fix the ‘restricted access changed voice service is blocked’ from an Android smartphone. Well, if you are recently getting the ‘restricted access changed voice service is blocked’ error messages while making calls, then you need to check out the selected Preferred Network type. If your carrier and phone support the 4G, then select 4G. Similarly, if your phone and carrier support 3G or 2G, then select it on the preferred network type. Step 1. First of all, open the App drawer on your Android smartphone. Step 2. Now head to the Settings > Network Settings. Step 4. Under the Mobile networks, set the Preferred network type. That’s it, you are done! Now just restart your Android smartphone and make calls. You won’t get the ‘restricted access changed voice service is blocked’ error message anymore. Well, if the above method failed to fix the ‘restricted access changed voice service is blocked’ from your Android smartphone, then you need to follow some of the simple steps listed below. Step 1. First of all, open your Android’s app drawer. Step 2. Now find ‘Apps’ from the list and tap on it. Step 4. Force stop the app and then clear the data & cache. That’s it, you are done! Now restart your Android smartphone to fix the restricted access changed voice service is blocked error message from the notification panel. #3 Reset Wi-Fi, Mobile & Bluetooth Settings. Well, Android smartphones allow users to reset all user made WiFi, mobile and Bluetooth settings. So, if the error is appearing because of invalid settings, then this option will fix the ‘restricted access changed voice service is blocked’ error message. Here’s how you can reset WiFi, Mobile & Bluetooth Settings on Android smartphone. Step 1. First of all, open the App drawer from your Android smartphone. Step 2. In the next step, head to the Settings > System. Reset Wi-Fi, Mobile & Bluetooth Settings. Step 4. 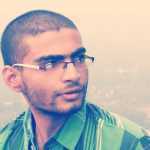 Next tap on the ‘Reset WiFi, mobile & Bluetooth’. That’s it, you are done! This is how you can reset WiFi, mobile and Bluetooth settings to fix the restricted access changed voice service is blocked from Android 2019. Well, the error message ‘restricted access changed voice service is blocked’ also appears due to network errors. So, in this method, you need to remove the sim card and put it back to fix the ‘restricted access changed voice service is blocked’. So, simply shut down the Android smartphone and remove the battery. Once removed, remove and reinsert the SIM Card. Once done, turn on the smartphone and make a call. The error message ‘restricted access changed voice service is blocked’ will be fixed now. So, these are the four best methods to fix the ‘restricted access changed voice service is blocked’ error messages from Android smartphone. If you know any other methods to fix the error, let us know in the comment box below.